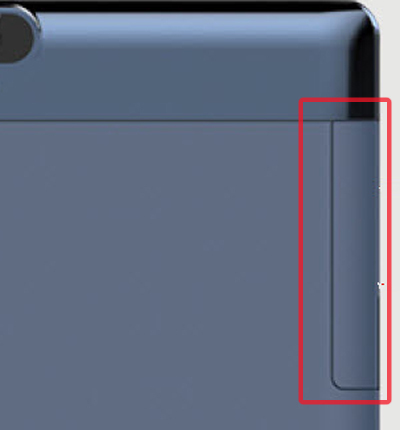 Remove the protective bumper from the GizmoTab. 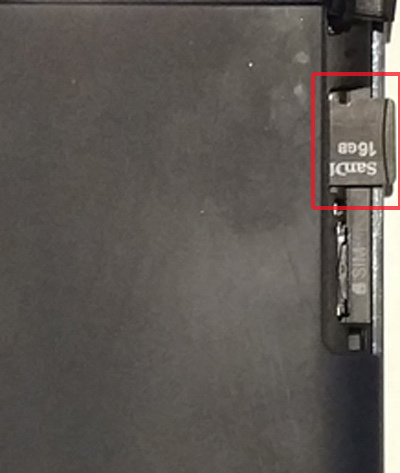 From the upper-right edge of the device (display facing down), open the SIM/SD / Memory Card cover. Press in on the card until it clicks in place. Close the SIM/SD / Memory Card cover.